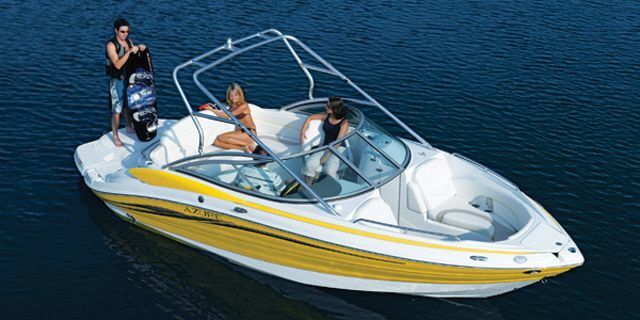 ITEM IS LOCATED AT DOCKSIDE MARINE CENTRE LTD. -- With all the features and style of a sportboat, and all the space utilization and seating of a deckboat, the AZ220 clearly puts the sport in the sport deckboat market. Artful lines sweep sensually from bow to stern, creating one of the sleekest and most exciting deckboats available. 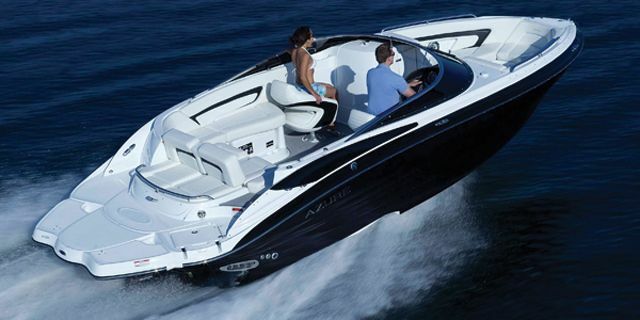 However, the fine lines and low profile cleverly conceal the AZ220's big boat features. 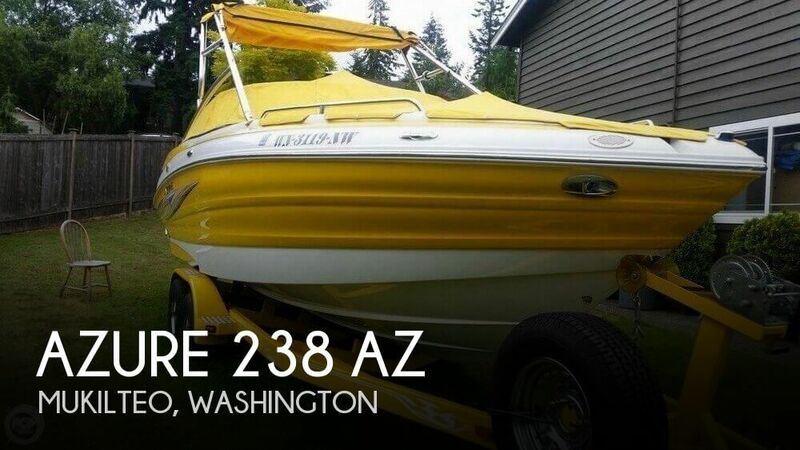 Features like a self bailing cockpit with Azures patent pending DripDry ski locker, a full wet bar with sink and cooler storage, and a fiberglass head with shower, convince you that this sporty boat is all business underneath. 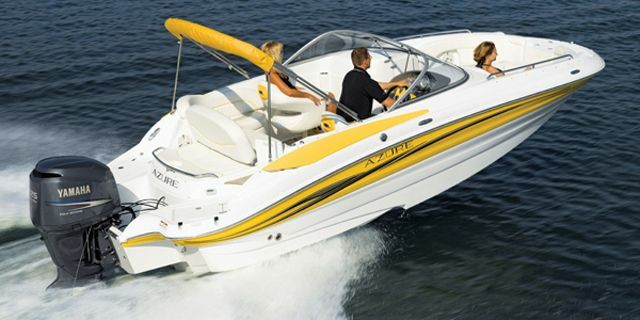 The AZ220's industry leading bow seating is deeper than most deckboats 4 feet larger, and the sculpted backrests cradle your spine with unmatched comfort and luxury. Azures unique rear sunpad design allows almost two feet more usable interior space, as well as more depth than any other boat in its class. 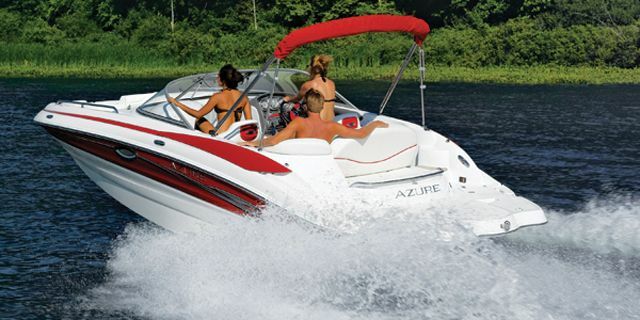 And speaking about depth, Azure's patented SureTrac deep 20 degree deadrise hull combines innovations in efficiency, acceleration, handling, and noise suppression, to create the safest, smoothest, and most pleasurable ride on the water. 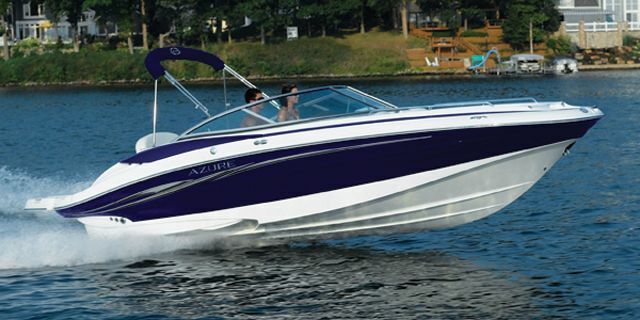 The AZ220 boasts many innovative, big boat features, yet wraps them in a sleek, sporty package that puts the sport back into sport deckboats.